UFC 175 Chris Weidman vs Lyoto Machida Fight Pick & Preview | MMA Fighting Events Videos Techniques UFC Fight Picks and News. Many of you might have noticed I didn’t even bother writing a Fight Pick and Preview for UFC 174. As a PPV, that card was an absolute joke. The card was bad and the fights weren’t much better. I’m not sure what the UFC was thinking when they made that a PPV event. Anyway, enough of that for now. 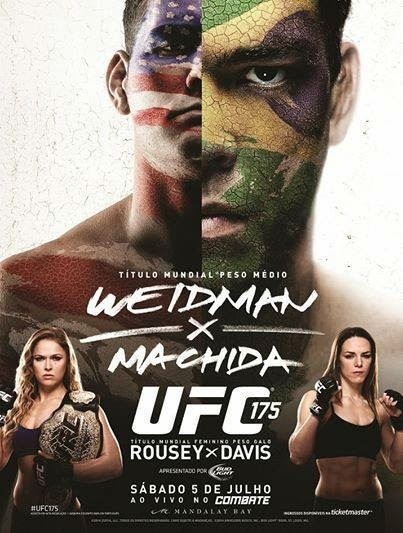 I’m just glad the UFC is back to a real PPV with UFC 175 Chris Weidman vs. Lyoto Machida. 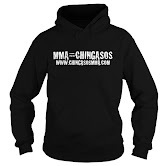 This one is for the UFC Middleweight belt and MMA fans are truly intrigued with this matchup. Let’s take a closer look at the fighters, and then I’ll make my fight pick! Lyoto Machida is one of the most intelligent fighters in MMA. He knows how to win fights. His style can sometimes bore fans because of the defensive counter striking approach, but when he does strike, they count! Machida has an overall MMA record of 21-4 with 8 KO/TKO’s and 2 submissions. He held his own in the Light Heavyweight division and is now looking good at Middleweight. Machida definitely deserves this title shot. Machida will come in with a good game plan as always, but to beat the champion Chris Weidman, Machida is going to have to open up his offense more than usual. Most likely, that will mean he’ll leave himself open for takedowns. If Machida has an answer for the takedowns, he’ll do well. Chris Weidman, like many UFC champions has a strong wrestling base and has developed good stand up. Add to that some KO power as he showed in his first win over Anderson Silva and that makes him almost unbeatable. His record so far has shown that, Weidman is 11-0 with 5 KO/TKo’s and 3 submissions. While Weidman has two victories over Anderson Silva, who many thought was unbeatable, both of those victories some have attributed to flukes and or luck. Anyone who’s ever trained or competed in combat sports, or any sport for that matters knows that an athlete makes his own luck by being prepared and earning the opportunity for luck to flow his way at the right time. Luck or no luck, Weidman is well prepared for opportunities. His game planning has been stellar, and I expect it to be stellar in this fight with Machida. Weidman will not allow Machida to dictate the fight, and that will be a problem for Machida. Look for Weidman to pull out the victory by smothering Machida with his wrestling, or even finishing him off with some KO power or ground and pound.